Voted Best Live Music Band for Weddings and Corporate Events. "We Have Your Party Covered!" 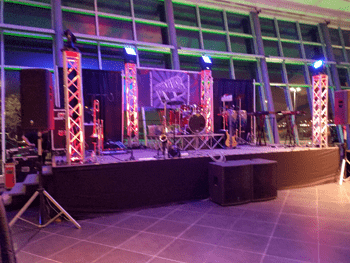 Weddings • Corporate • Holidays • Birthdays • Bat/Bar Mitzvah Parties • Graduations • Trade Shows • Fashion Shows • Fundraisers • No Event Too Large or Small! Named WeddingWire Couples' Choice Award Winner 2019! Named 'Best of Best' by Modern Luxury Magazine in 2015 and 2016! 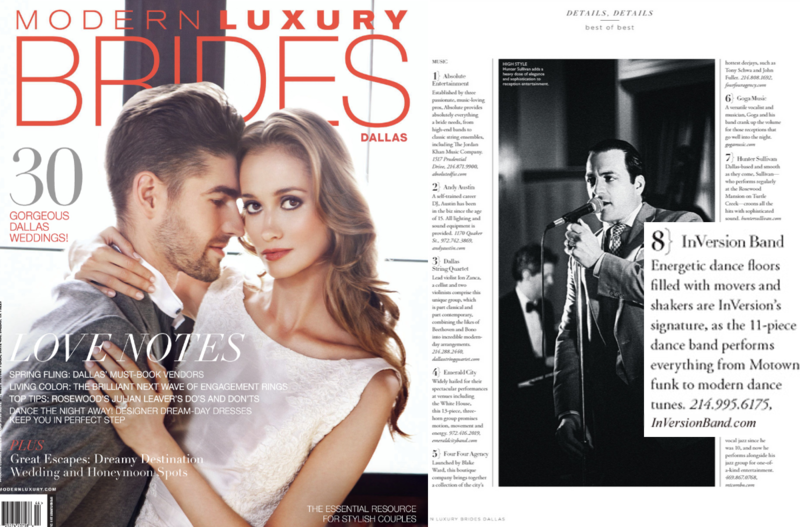 Voted 'Best Wedding Music' by Dallas CityVoter for the last THREE years in a row! Named most 'Memorable Band' by Significant Events of Texas! Modern Luxury Magazine's 'Best of Best' - Energetic dance floors filled with movers and shakers are InVersion's signature, as the 11 piece dance band performs everything from Motown funk to modern dance tunes. There are a lot of details that go into making your event a success. 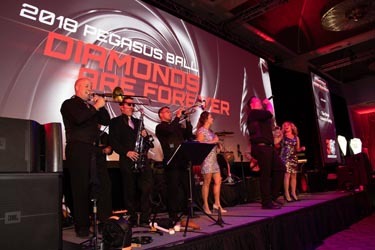 InVersion can customize your event entertainment package according to your needs and offers complete turnkey solutions. 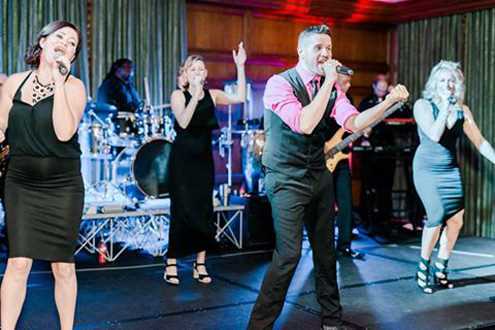 InVersion Band is an eleven piece variety dance band that blends a wide range of great dance music together to get the party started at your venue. 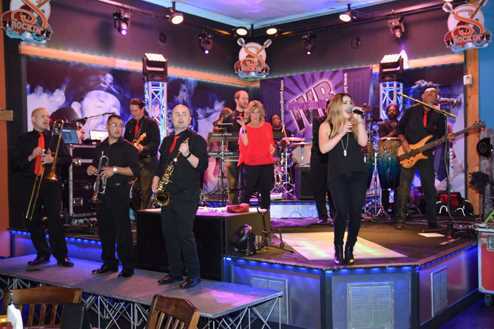 We create a dance party band atmosphere and the band is excellent at drawing our audience into the show. If you want to hear everything from Motown funk to current modern dance hits, you've found the right band! 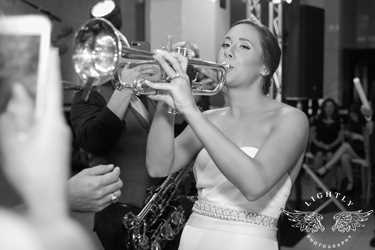 InVersion Band is staffed with some of the most talented musicians in Texas. "They Play Something for Everyone!" InVersion Band plays all of the top dance songs! 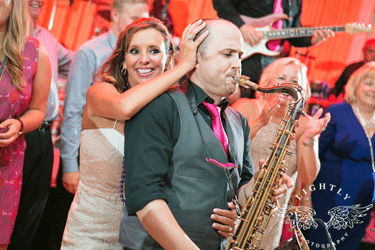 Your guests will love us and talk about how FUN your event's band was for years to come! An Eleven Piece Powerhouse Band! Full Lighting and Sound Provided! We Will MC Your Event! InVersion provides the ultimate in entertainment for your wedding or corporate event. InVersion only plays the ultimate in dance and Top 40 hits. Every song is an instantly recognizable hit, guaranteed to get audiences on their feet and celebrating! 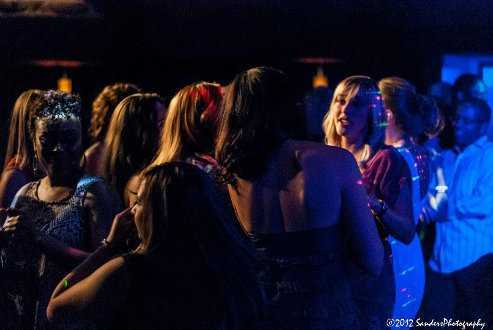 Your guests will love us and talk about how fun your event was for years to come! We always let the bride and groom get into the act! 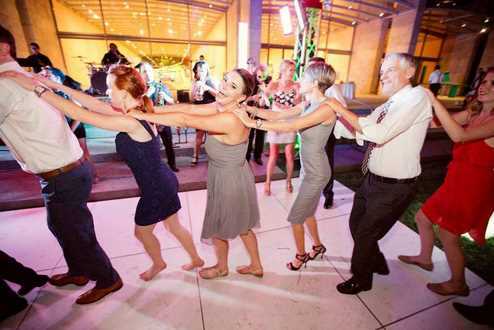 An Amazing wedding at Nasher Sculpture center! InVersion Band was a hit! Our guests are always part of the show! 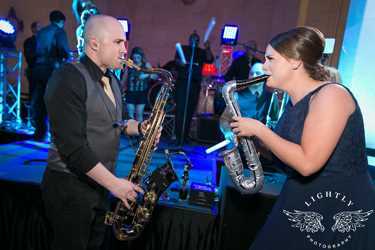 We play the tunes that keep your event's guests dancing and partying all night long. 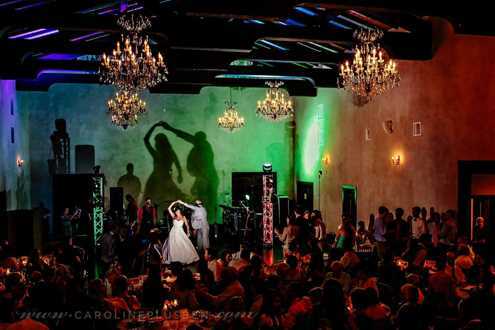 We have a large array of lighting and laser lights that will make your event or venue seem like a full blown disco! InVersion ALWAYS creates a party atmosphere! InVersion helps provide the perfect setting for your photographer to capture those perfect moments!